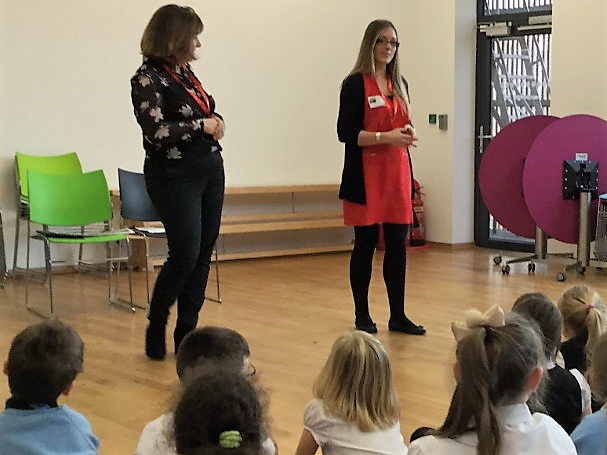 McBrides staff partner Tanya Hamilton and manager Hannah Adams were overwhelmed by the interest in becoming an accountant when they recently visited Hope Community School in Foots Cray. Just a stone’s throw from our office, the children were keen to find out what the people in ‘the big white building’ near their primary school did. And they were intrigued to hear about how you can use numbers to help businesses improve what they are doing. Tanya and Hannah discussed their roles and responsibilities and told the children about what accountancy is. As an additional treat, they gave each child a pad, pencil and some chocolate gold coins. To find out more about our training contracts, please visit: https://www.mcbridesllp.com/careers.